High quality foil embellished paper print framed in a brushed gold wooden frame. 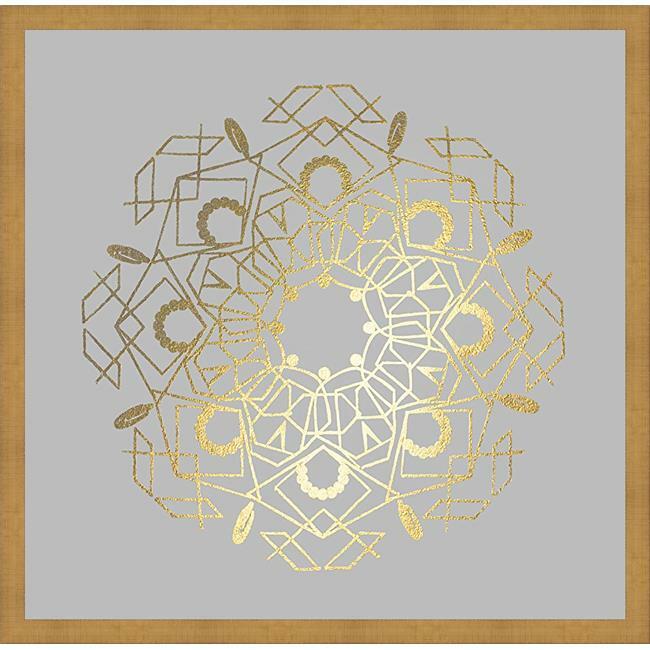 Modern look, gold foil mandala against a grey backdrop. A beautiful piece of framed artwork from our ''Foils & Metallics'' collection that will look great in the modern home. Hanging hardware included.